Welk Resort Theatre is proud to present an all-new production of MILLION DOLLAR QUARTET, based on the Tony Award winning Broadway musical, inspired by the electrifying true story of the famed recording session where Sam Phillips, the “Father of Rock ‘n’ Roll” brought together icons Elvis Presley, Johnny Cash, Jerry Lee Lewis and Carl Perkins for one unforgettable night. The show will open June 25, 2015 and run through December 31, 2015, and March through December thereafter. Featuring the greatest rock ‘n’ roll, gospel, R&B and country hits from these music legends, including “Blue Suede Shoes,” “Walk The Line,” “Folsom Prison Blues,” “Who Do You Love?,” “Great Balls of Fire,” “Hound Dog,” and “Whole Lotta’ Shakin’ Goin’ On,” Million Dollar Quartet tells the story and captures the high energy spirit and rockin’ sounds of a unique moment when four of music’s most extraordinary talents, all in their creative prime, came together for one of the most memorable nights in music history. Million Dollar Quartet opened in 2006, having lengthy runs in Washington, Florida and Chicago, before opening on Broadway in 2010, where it was nominated for multiple Tony Awards, including Best Musical. 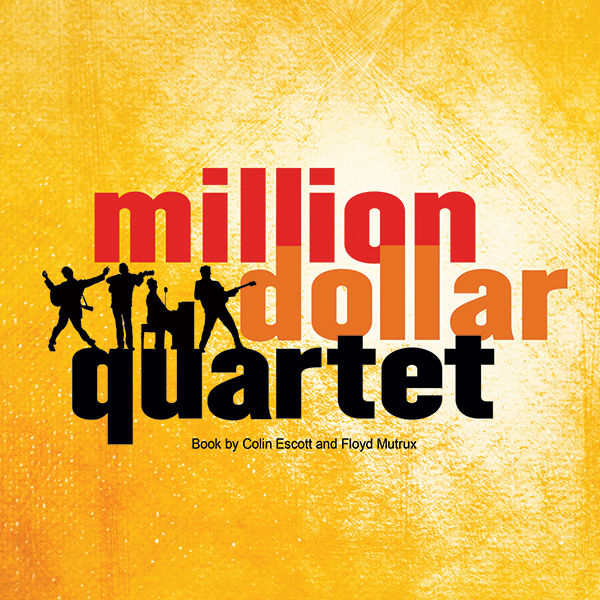 Million Dollar Quartet runs June 25Th through December 31st, 2015 with shows at 8pm, Tuesday through Sunday. Tickets are $35 plus tax and are available by phone at 800-505-9355 or on-line at WelkBranson.com. Welk Resorts is comprised of five gorgeous destination resorts for vacations, retreats and family gatherings in Cabo San Lucas, Lake Tahoe, San Diego, Palm Springs and Branson with developments in Breckenridge (opening in 2015) and Kauai (opening in 2018). For more information visit: www.welkresorts.com.